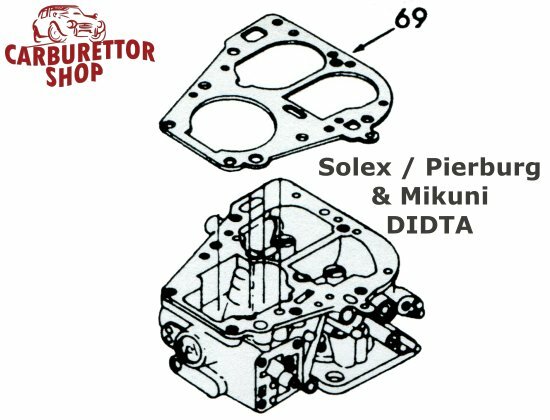 Top cover, or float chamber, gasket for the Solex DIDTA carburetors. 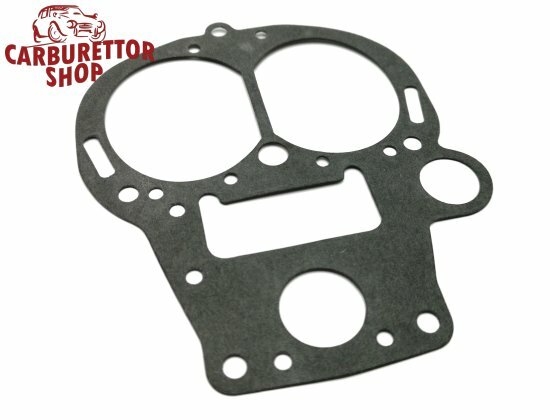 Please compare your old gasket VERY carefully and in detail with the one in the photograph as there is a wide variety of these carburetors and gaskets are usually NOT interchangeable. 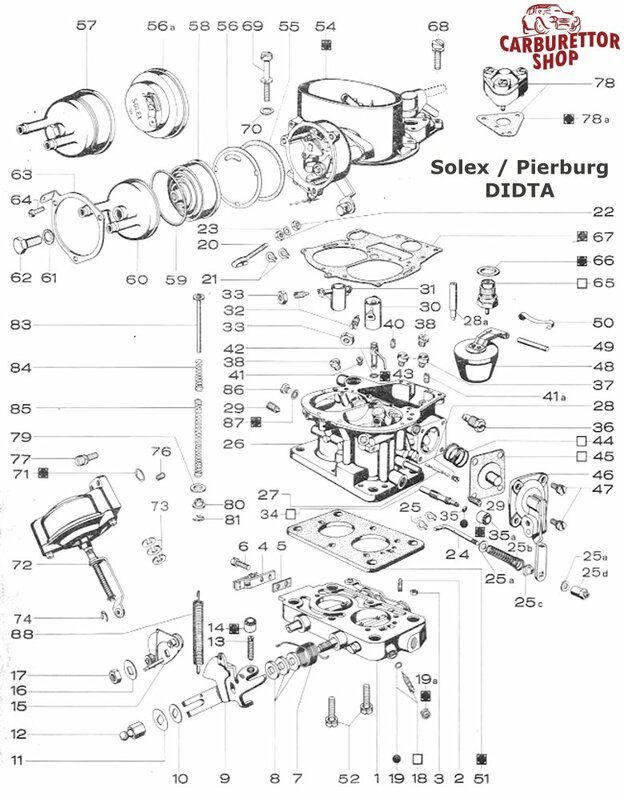 This is number 69 in in the drawing.